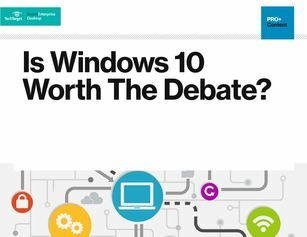 Despite an array of Windows updates last year, many IT professions are still questioning if Windows 10 outperforms Windows 8 or other previous OS versions, and are hesitant to invest the time and money into an enterprise-wide migration. But why? Inside this expertly compiled Windows 10 guide, explore the brand new features of Windows 10, the benefits and drawbacks of each, and questions to consider before/when making the transition. Simply participate in our brief Desktop Management Research Program to claim your free copy of this exclusive guide!